After filling in as the host of The Ellen DeGeneres Show last month, Miley Cyrus returned as just a guest during the October 27th episode. And DeGeneres truly put her back in the hot seat since she asked Cyrus about that engagement ring of hers. Although the current The Voice judge admitted she doesn’t really talk about the bling on her ring finger much, she opened up to her buddy DeGeneres about it. 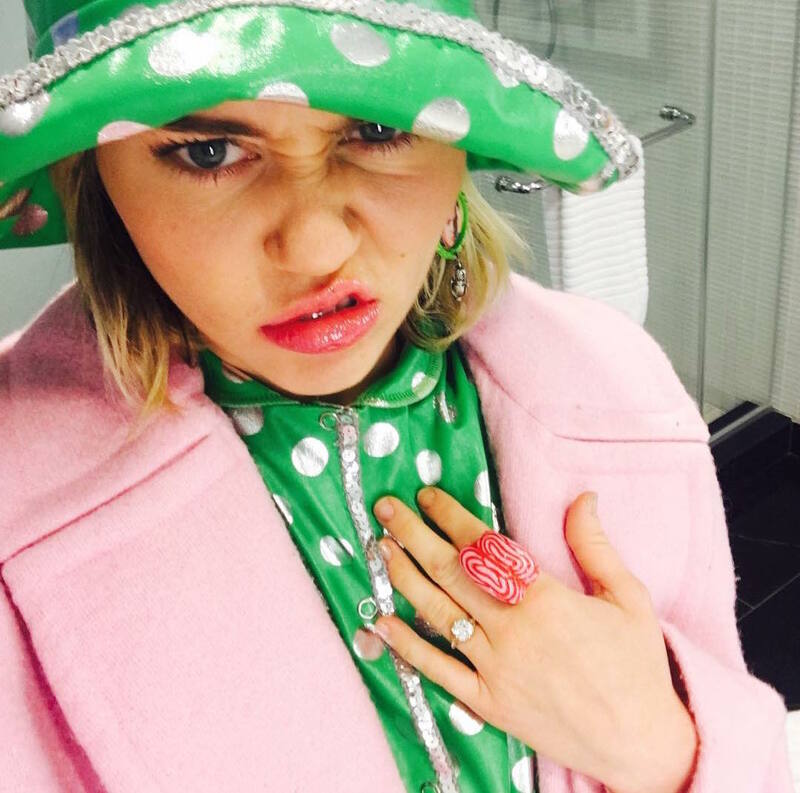 While you shouldn’t be expecting a Cyrus-Liam Hemsworth wedding wedding anytime soon (or possibly ever), she did give us fans some intel about the case of the mysterious diamond ring. Praise Hannah Montana! DeGeneres brought up an Instagram photo that Cyrus had posted months ago of the ring in question, which had led to lots of speculation. While the host referred to it as her “engagement ring,” Cyrus didn’t really confirm or deny that term. "I think young people have a different idea of partnering and not feeling that this necessarily means this is gonna have a legal document signed and dated because it's really sharing a life with someone and not about a legal paper that tells me anything — even though I fought so hard for LGBTQ rights [that] they'd be able to get married, but I don't really even want to." So there you have it?? Whether the ring will lead to a marriage is yet to be seen, but Cyrus and Hemsworth are most definitely in a committed relationship together no matter how you define it.